Australian Skincare brand Alpha-H, the now global phenomenon, is conquering the cosmeceutical world on an international scale. We take a closer look at their best-selling resurfacing treatment, Liquid Gold, to see how it raised to "cult" status among skin care fans and beauty clinics alike. Boasting the tagline "Concentrated Skincare", Alpha-H's Liquid Gold delivers a powerful overnight resurfacing treatment in an over-the-counter cosmetic product. The three key ingredients, Glycolic Acid, Licorice extract and Silk Proteins work together and the benefits to the skin are plentiful. Glycolic Acid provides a deep exfoliation to break down the "glue" which holds dead skin cells together. This triggers the skin's natural healing process, causing the skin to produce more collagen fibers. Licorice extract reduces dark spots and pigmentation while regulating the skin's oil production and softening the size of pores. Silk Proteins help to protect against environmental damage and works to lock in moisture thanks to its moisture-binding properties. The skin surface is revealed fresh, luminous and toned. These are all delivered in Alpha-H's signature low pH formulation which drastically improves the effectiveness of these ingredients. 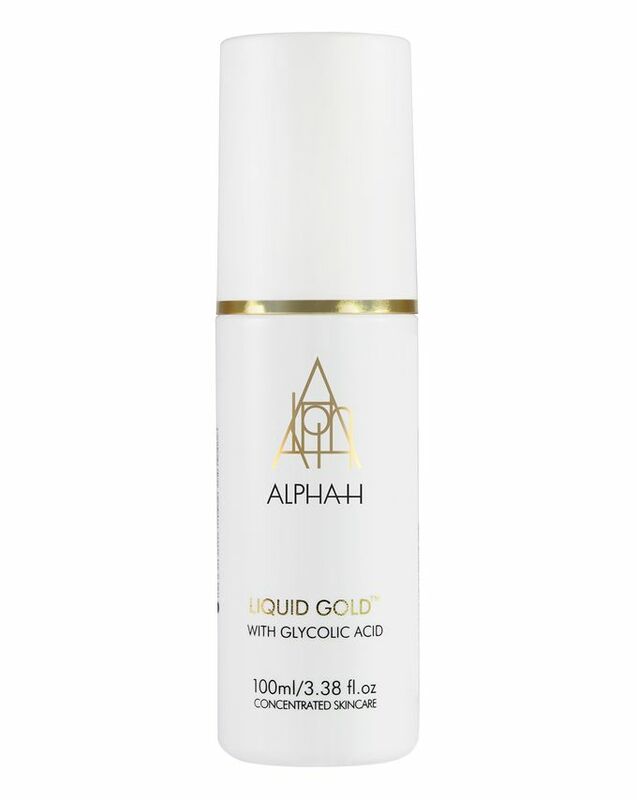 In 2015, Alpha-H commissioned an independent clinical review of Liquid Gold on a group of patients who had not used a product containing Glycolic Acid before. The results that came back act as a true testament to the effectiveness of this formulation. Founder Michelle Doherty states "We liken Liquid Gold to an overnight facial. 15+ years ago, Alpha-H created this phenomenal, leave-on, sleep in liquid 'peel' that brings salon results to the home." Selling one bottle every minute worldwide and having been awarded numerous awards, Liquid Gold is a cosmetic icon and has a tried and tested track record for providing results.